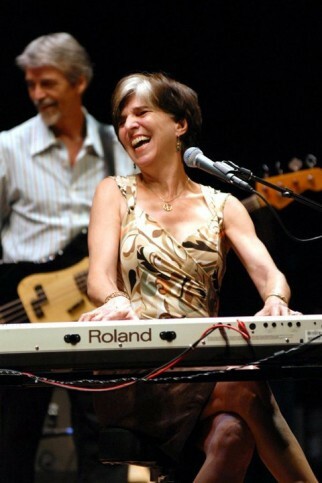 Pianist/vocalist/songwriter Marcia Ball is famous for her smoldering brand of swampy R&B, jumping blues, and heart-wrenching ballads.. Her music is mixed with equal parts simmering soul fervor and two-fisted piano pounding. Between her deeply emotive vocals and her incisive, often poignant songwriting, Ball is in a class by herself. Her groove-laden New Orleans R&B and driving Gulf Coast blues have made her a one-of-a-kind favorite of music fans all over the world. When the band broke up in 1974, Marcia launched her solo career, signing to Capitol Records and debuting with the country album Circuit Queen in 1978. She released six critically acclaimed albums on the Rounder label during the 1980s and 1990s. In 1990, Ball-collaborating with Angela Strehli and Lou Ann Barton-recorded the hugely successful Dreams Come True on the Antone’s label. At the end of 1997, Marcia finished work on a similar “three divas of the blues” project for Rounder, this time in the distinguished company of Tracy Nelson and her longtime inspiration, Irma Thomas. The album, Sing It!, was released in January, 1998 and was nominated for both a Grammy and a Blues Music Award as Best Contemporary Blues Album. She also received the 1998 Blues Music Award for “Contemporary Female Vocalist of the Year” and for “Best Blues Instrumentalist-Keyboards.” In 1999, Marcia and her band appeared in the nationally televised Public Television special In Performance At The White House along with B.B. King and Della Reese. Her albums and performances received glowing reviews in major music publications, and Marcia was featured on leading television and radio programs, including Austin City Limits and National Public Radio’s Fresh Air and Piano Jazz. Ball joined the Alligator Records family in 2001 (and also hooked up with the influential Rosebud booking agency that same year) and released the critically acclaimed Presumed Innocent, which took home the 2002 Blues Music Award for Blues Album of the Year. Her follow-up, So Many Rivers, was nominated for a Grammy Award, and won the 2004 Blues Music Award for Contemporary Blues Album of the Year as well as the coveted Contemporary Blues Female Artist of the Year award. Her next album (her first-ever live recording), Live! Down The Road, released in 2005, also garnered a Grammy nomination. In 2005, 2006 and 2007 the Blues Music Awards honored Ball as the Piano Player of the Year. And now she’s back with her fourth release for Alligator Records, the perfectly titled Peace, Love & BBQ. (“Three of my favorites things,” says Ball). In 2012, Ball was nominated for Best Blues Album for her latest release, “Roadside Attractions”.